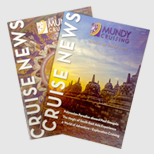 Founded in 1970, Mundy Cruising was the UK's first cruise specialist, and small ship luxury cruising remains central to what we do. The cruise industry is currently experiencing unprecedented growth, with new ships and products launching all the time, and we are looking to capitalise on this by recruiting talented people to join our expanding team. In addition to the vacancies listed on this page, we are always happy to hear from professional, approachable and knowledgeable cruise consultants who wish to join our small sales team in central London. An ideal candidate will be hard working, enthusiastic and eager to learn, with a passion for travel and a commitment to delivering flawless customer service. You will be dealing with luxury buyers who expect the very best, so you will need to be confident, articulate and well spoken, with excellent literacy and numeracy skills and a scrupulous attention to detail. A background in cruise is not essential, but experience in the luxury travel sector would be highly advantageous. We pride ourselves on being a nice company to work for, and staff wellbeing is at the heart of our company ethos. We are one of the few travel companies to be awarded the Investors in People charter mark, and we invest time and money in training and development for our staff. We own our plush offices in central London, just around the corner from Regent Street and Oxford Circus, and we offer benefits including private health insurance, season ticket loans and a monthly bonus scheme. You may also have the opportunity to travel abroad and experience our products first hand!